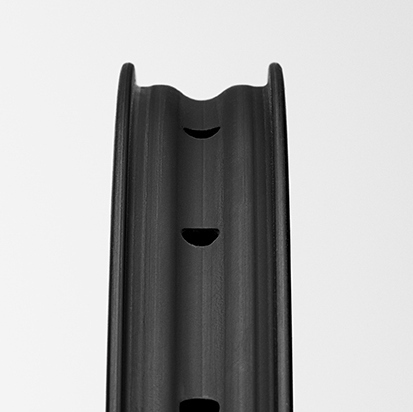 Front rim on the left and rear on the right is burlier, stiffer with thicker sidewalls. The Crank Brothers Synthesis wheels aim to solve a problem with wheels today. They’re all good and it’s hard to distinguish the difference now between high-end wheels. Often riders buy based on warranty, brand, weight or decals. 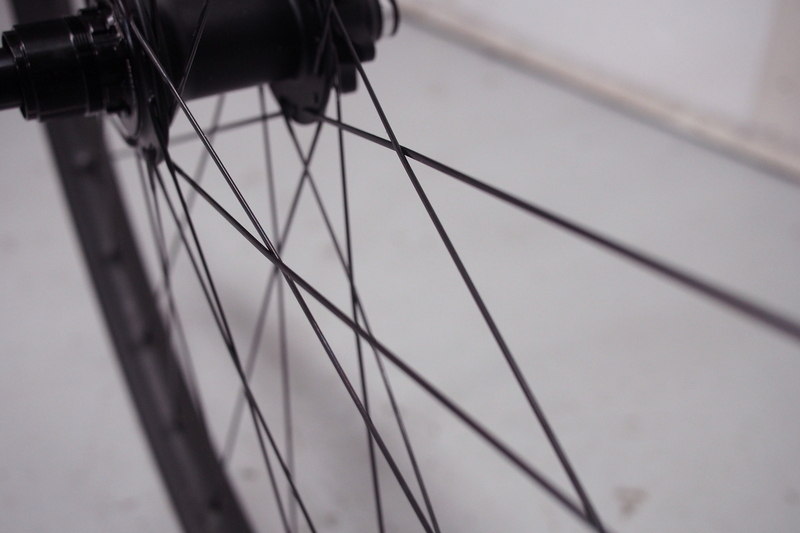 As long as the wheel build is dialed and the rim is solid, the wheels will usually perform well enough. Crank Brothers has been looking for a win, albeit redemption in the wheel category and they came up with the Crank Brothers Synthesis, a tuned carbon wheel system. A tuned and optimized front and rear specific carbon wheel system that addresses the needs of each wheel is what they’re introducing today. The key to unlock this puzzle is a compliant, tuned front wheel to enhance control and handling characteristics through increased dampening while maintaining the wheels contact patch. It “turns” is the Crank Brothers Synthesis mantra. The front wheel is balanced with a rear wheel that is stiff and stout. This offers directional stability, anchoring for acceleration and shooting out of corners and responsiveness in handling at speed. It “tracks” is its anthem. 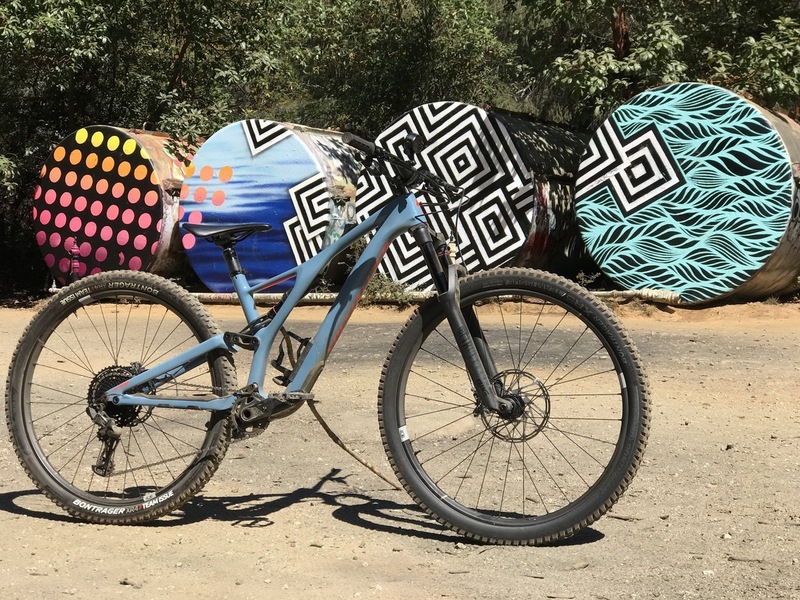 Tested on a Stumpjumper 29er. 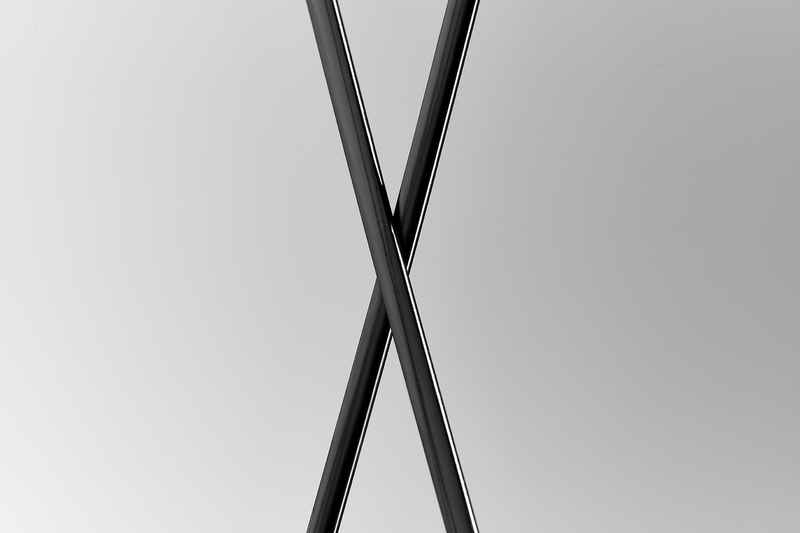 And no, the #stickstand is not for sale. Before we get into pages of technical jargon and marketing romanticism, we find it appropriate to actually report on its performance. We’ve been riding it for 6 weeks now and have enough confidence to report on its performance. Our conclusion so far is it’s pretty amazing. We’re not going to say game-changing cause no one believes that, but the performance is noticeable, especially in the front. 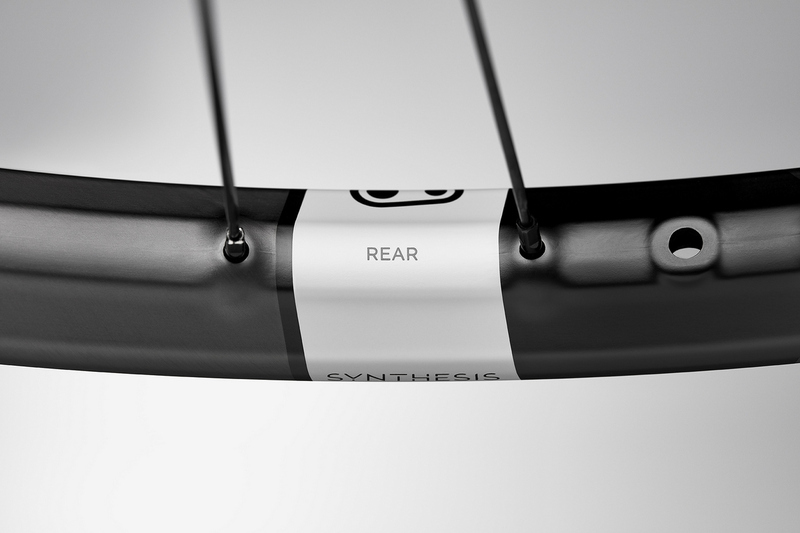 The magic is in the front wheel as it has built-in flex to aid the bike in turning or changing direction. It does this indeed. But what it also does is allow the rider to choose a line and keep a line. As you hit a corner at speed, the wheel seems to heed the rider’s wishes and finds available traction to change direction. Then as rocks, roots, and holes tug and push and pull the wheel into different directions, the wheel is able to resist them and stay the course. It changes direction and resists deflection well. 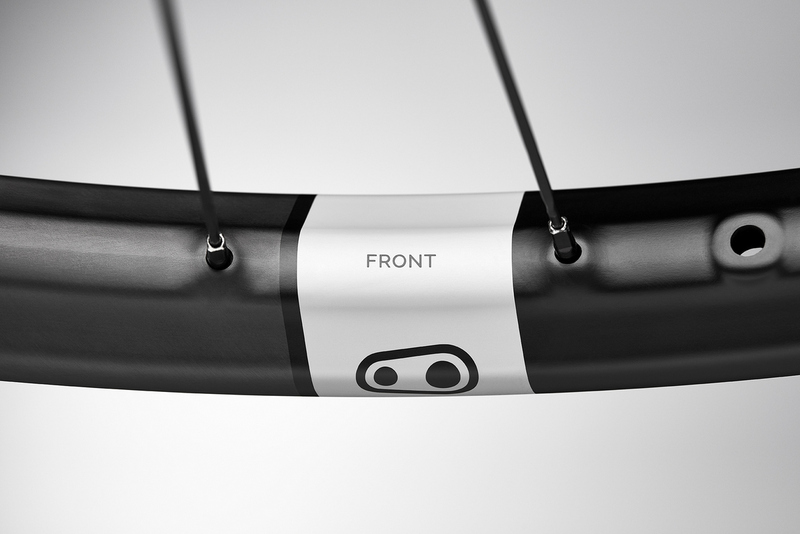 Front rim is wider to allow more footprint, volume and grip. Rear rolls better. A familiar example can help guide this discussion. 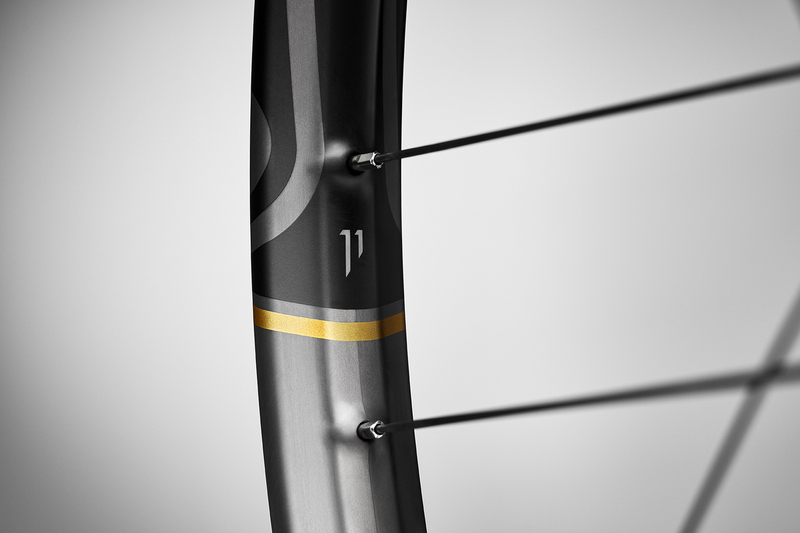 Remember the very first Enve carbon wheels? Stiff as a board and responsive as heck? Riding them at speed on a rock garden was quite hairy right? Riders get bounced all over the trail as the wheels seem to get deflected all over the trail. I think most of us understand that a wheel can be too stiff to steer well. 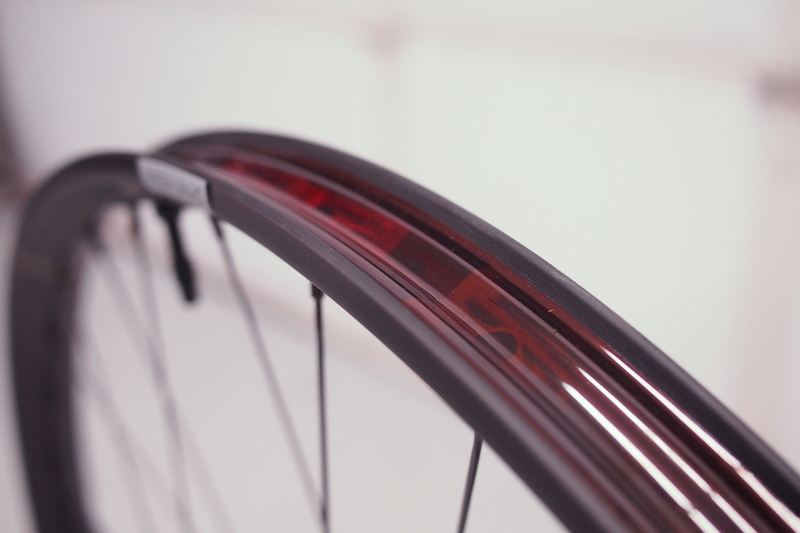 The Crank Brothers Synthesis front wheel addresses this by building flex and compliance in the rim itself. Their genius is in uncovering that this behavior is desired in the front wheel but not in the rear wheel. 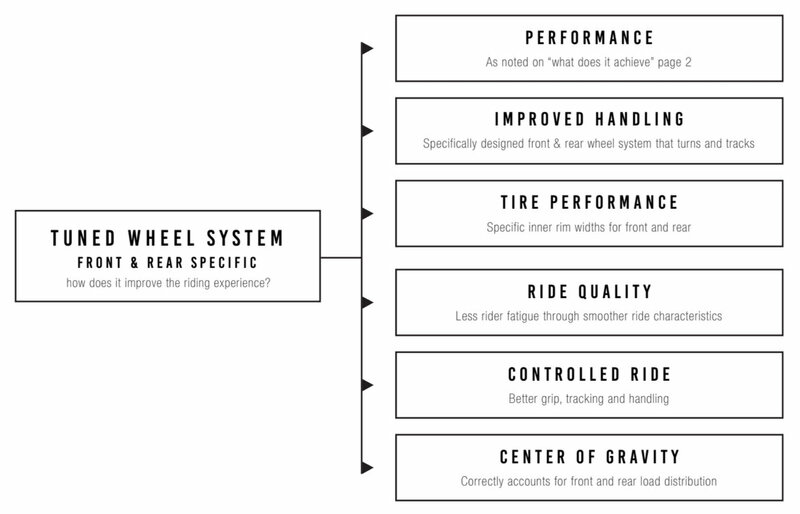 The rear wheel has different needs like supporting the heavier weight, transferring bigger forces to the ground and driving better pedaling efficiency from the rider. They’ve made the rear wheel stiffer creating a beefier rim that has a thicker spine and with thicker rim walls. 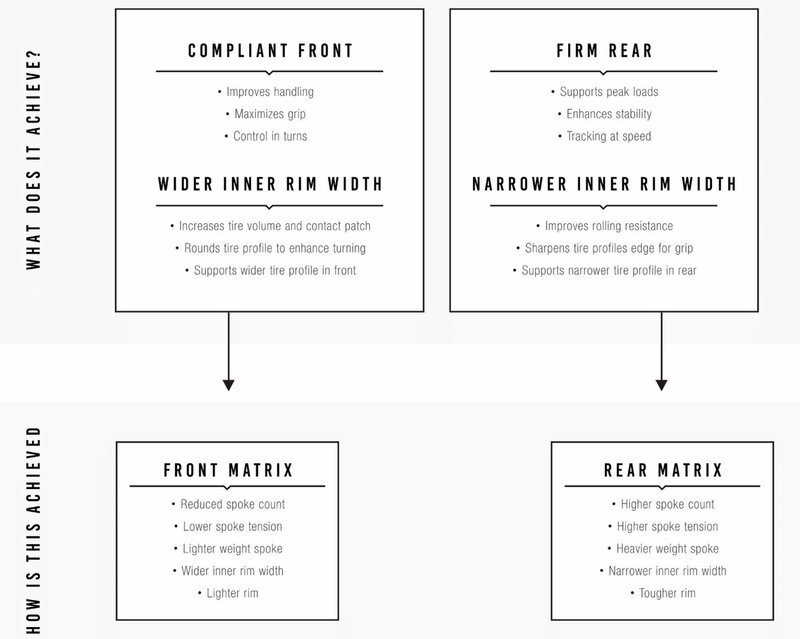 It is narrower too to optimize tire footprint and profile. It is not radically different from stiff rear wheels available today. But they’ve improved it by creating a first-rate, tuned rear wheel build with Sapim spokes, perfectly tensioned for the job. And most important, they sought out one of the best hubs available today, the Project321 hub with low-drag magnetic pawls and 2.5 degrees of engagement. This hub delivers almost instant, quiet power engagement that is reliable in the most demanding conditions. What does the Crank Brothers Synthesis system deliver? Crank Brothers recruited some of the best talent in the category by getting the services of Jason Schiers and Mello Bouwmeester. Jason Schiers has a long history in the bike industry and is a frontrunner in composite technology and application. 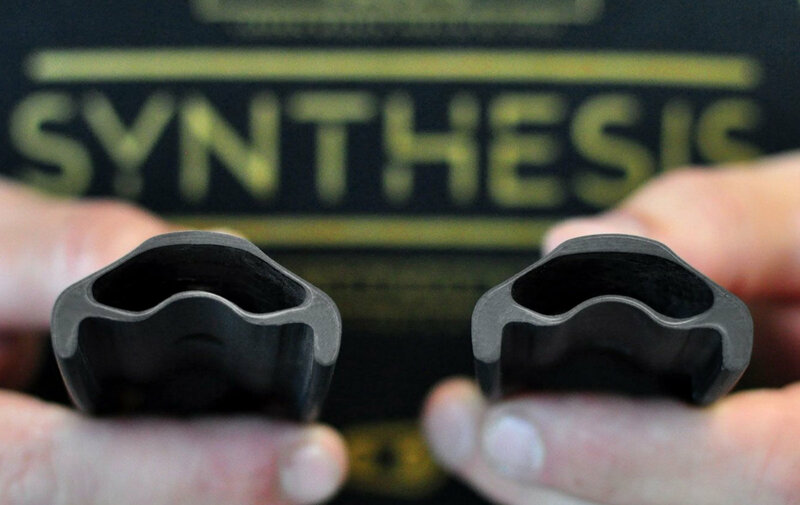 The founder of Enve Composites, he pioneered carbon rims for mountain bikes and started the era of strong and stiff carbon rims the market offers today. The merger of these two schools of thought is what Schiers and Bouwmeester bring to Crankbrothers. 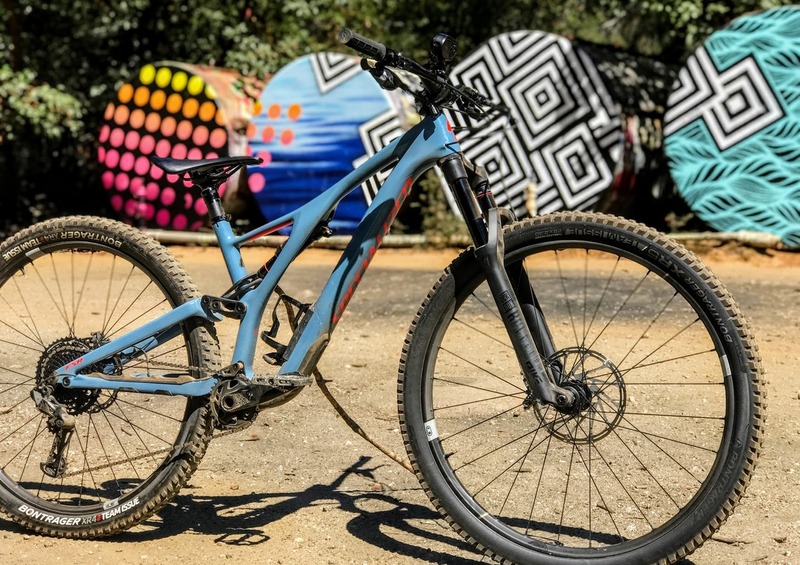 The new Crank Brothers Synthesis carbon wheels offer the best of both worlds; an optimized wheel system with specific front and rear characteristics. The magic is settling in the compliant front and stiff rear formula. It makes sense but no one has executed it before in this scale and effort. We will see if they can successfully patent this concept. Crankbrothers has exclusively partnered with US hub manufacturer Project 321. Chosen for their precision and quality workmanship. 100% US made in Bend Oregon. Innovate freehub design using magnets creating low drag and super fine pawl engagement. Patent pending ‘Quiet or Loud’ pawl design. Quiet pawls standard on Crankbrothers wheels. Loud offered as an aftermarket accessory available from Project 321. Precision japanese bearings are used throughout. 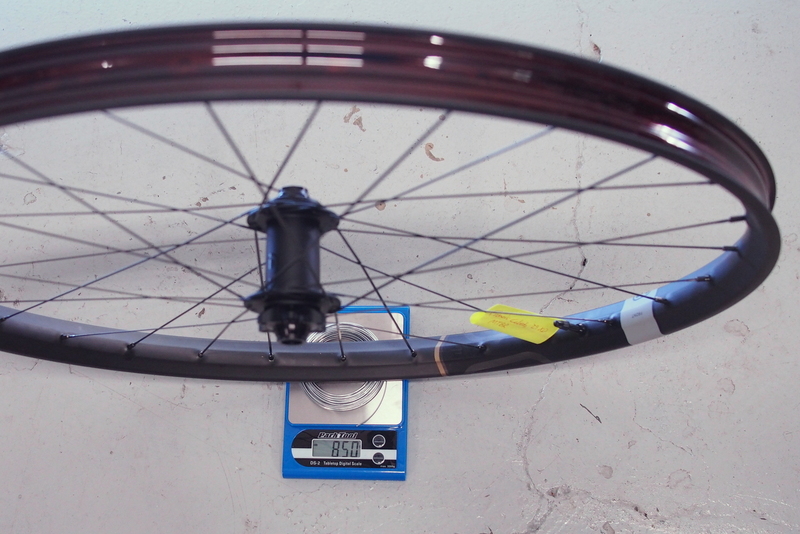 Weight for the enduro 29er front is 1022 grams with tape and valve. 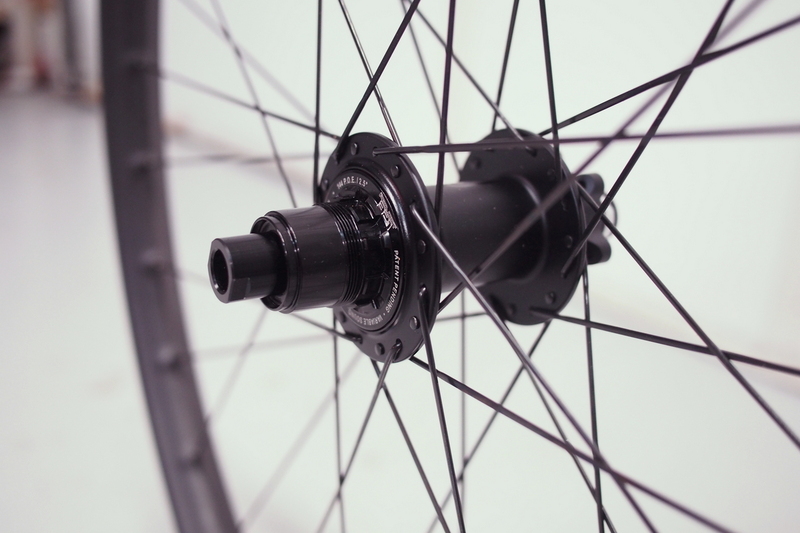 Project 321 hubs are expensive and some might not appreciate its benefits and price point. So Crank Brothers is also offereing a house brand hubset that is significantly cheaper. Its features are 3 Pawl, 21 Points of engagement (17°) Enduro® Bearings. It’s available for $700 less than a comparable Project 321 and premium spokes equipped wheelset. 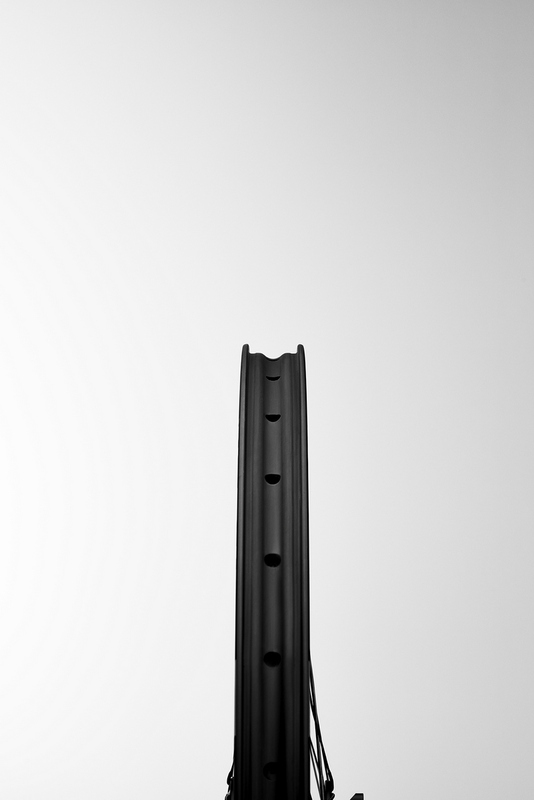 Weight for the enduro 29er front is 850 grams with tape and valve. The wheels are available in XC, Enduro and Downhill builds. Each wheel is available with Project 321 and high end spokes for about $700 more. 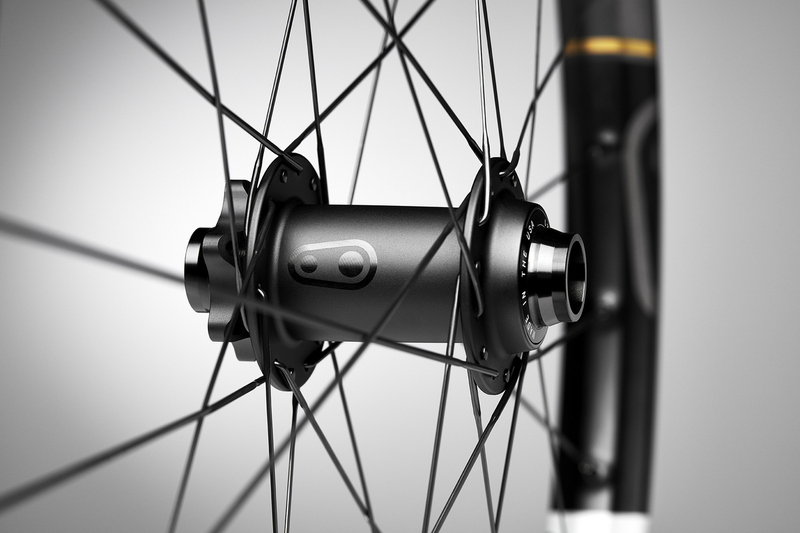 Standard hubs with Enduro bearings and Sapim spokes are on the lower end wheelset. 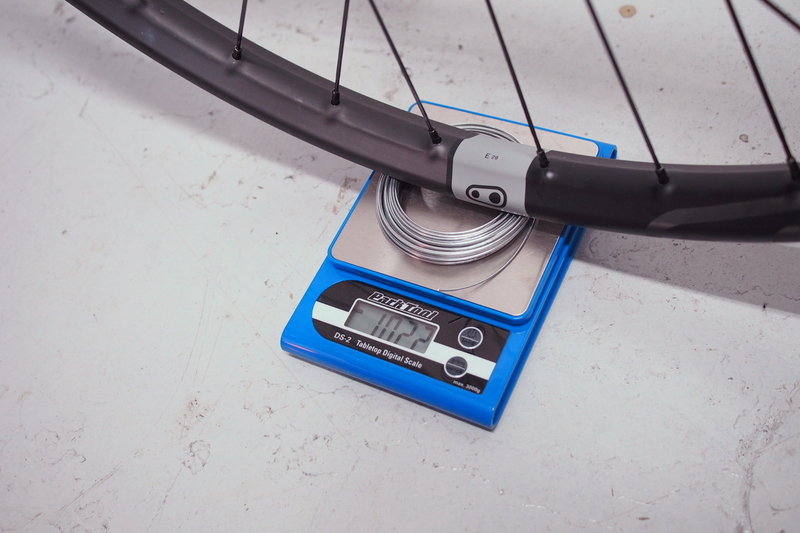 Weights below are for the Enduro wheelset. 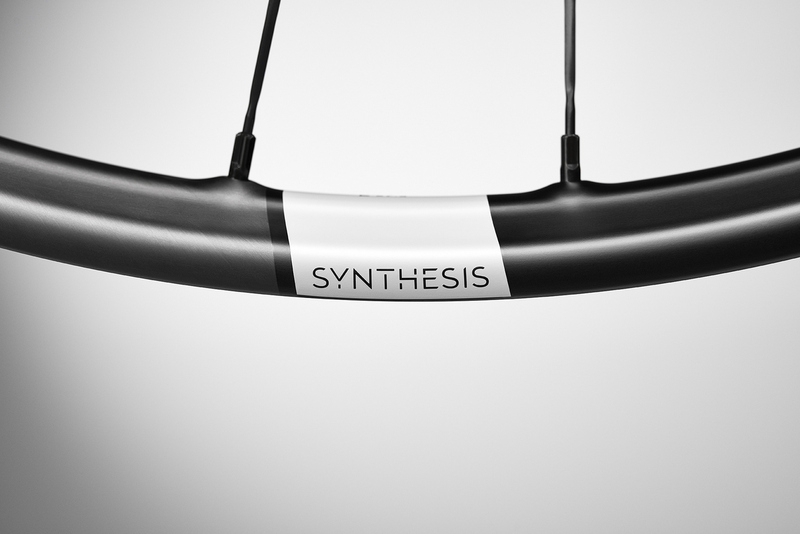 We used the Synthesis wheels on three different bikes now and it’s made a positive difference each time. The front wheel is a noticeable advantage when it comes to changing direction and keeping a line, resisting deflection. The rear wheel is not as revolutionary compared to other good wheelsets but it’s built very well and its almost instant engagement and power transfer is noticeable. 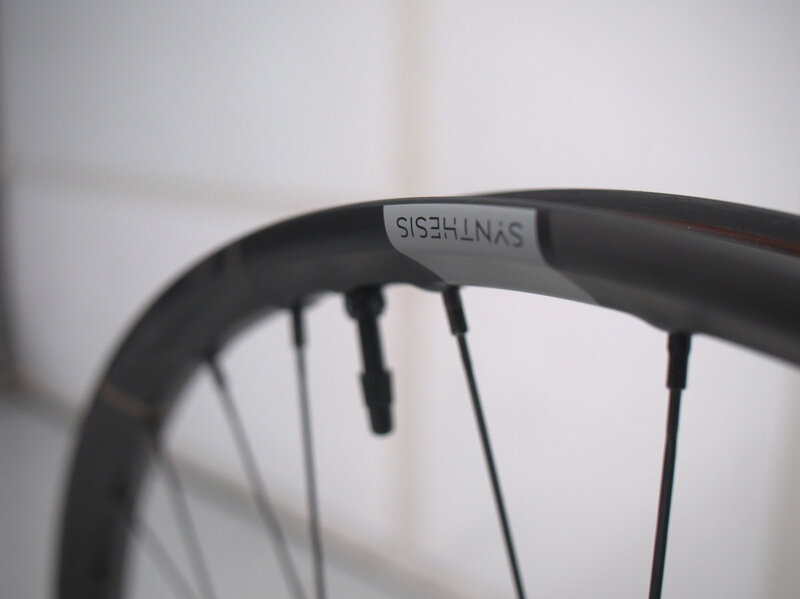 And we believe it will prove itself over time with the reliability of the Project 321 hubs and Sapim spokes. 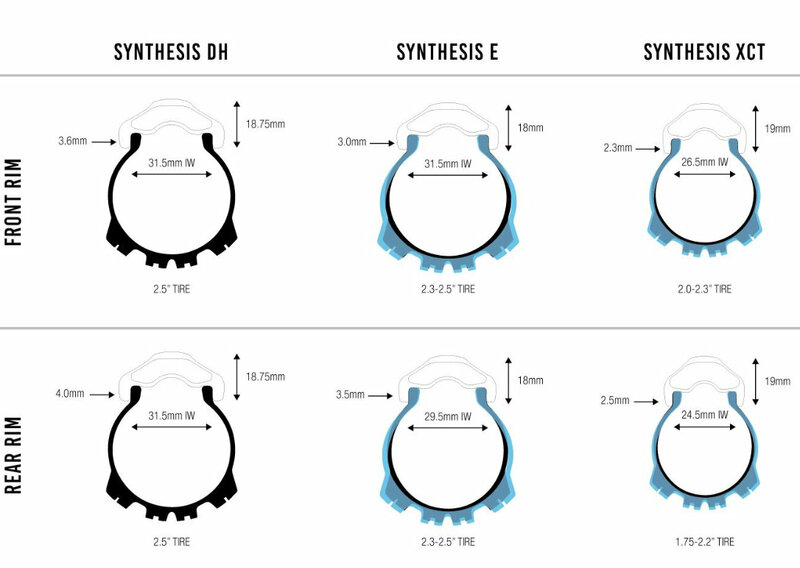 Explore the Crankbrothers Synthesis line at at https://crankbrothers.com/synthesis. Soke entry holes are well reinforced. Front wheel has the biggest effect since it allows the front to turn and keep its direction with confidence. Front wheel with Project 321 hub. Wheels come ready for tubeless. Tubeless tape with center channel for easy installation. What does the Synthesis system deliver? lol, if you have $1700 to spend on a wheel set, is $2400 really that much of a stretch? Not a bad point MrK. $2k is a big mental barrier though for a lot of people when it comes to wheels, us included. And that extra $700 can buy a lot of tires. And beer!!! I got a chance to ride these wheels at the Whistler Bike Park and also on the trails by my local trails in Vancouver. They rip! The ‘more compliant’ front wheel really does make a difference when it is really rocky and bumpy. Normally I am a big wimp when it comes to my hands hurting even after a few laps – but with the softer front wheel, my hands actually don’t hurt nearly as much as they used to. The other part that I notice the wheels is when on a trail (going down) and you’re charging hard through flat sections – the back wheel just stays planted and it feels like the bike will go as fast as you can put power down, tracking exactly where you want it to. Seems obvious that the front is compliant, back is stiff now that they say it…. is this a fake review? I understand wanting to offer a lower cost option, but why cut the hub quality so far to do so? Who is going to want a 21 POE hub on a carbon wheelset? >>I understand wanting to offer a lower cost option, but why cut the hub quality so far to do so? 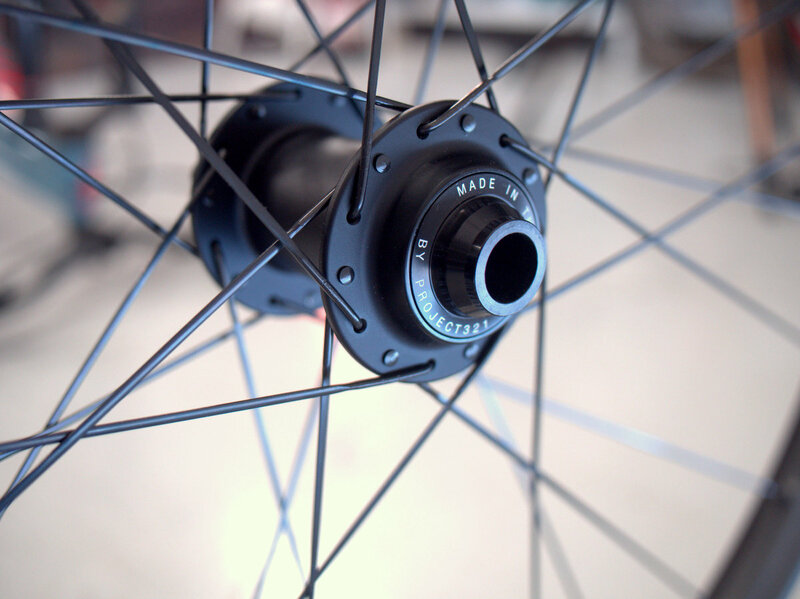 Who is going to want a 21 POE hub on a carbon wheelset? A little to far on the other end of the spectrum huh? I’m sure they’re chasing reliability as well but that may be too low cost. Just a general comment that I agree with CB that we’ve probably achieved “peak stiffness” and there are now huge benefits in chasing intelligently designed flex. Moto GP racing got to this point about a decade ago, and the benefits have been great. But dang, I also think the day of the $2,400 mtb wheelset is also behind us. 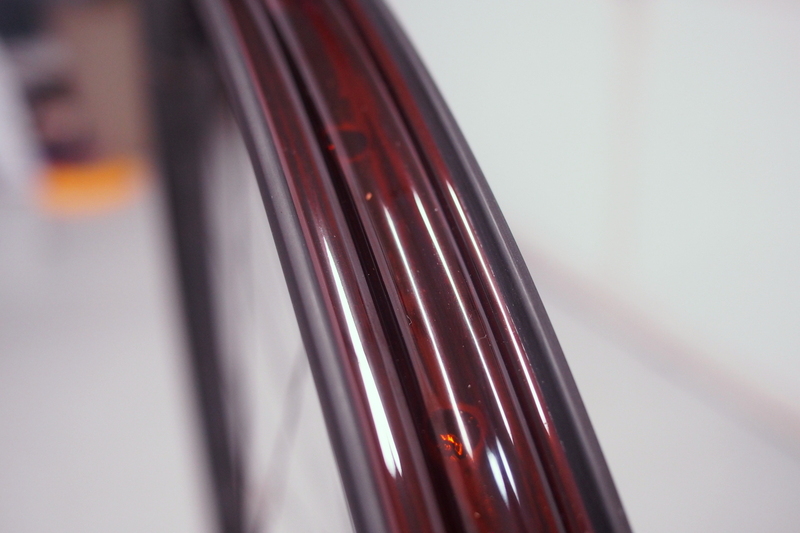 >>But dang, I also think the day of the $2,400 mtb wheelset is also behind us. Yeah Tom. $3k used to be the aspirational bling set but now, over $2k is a tough pill for many. I also have had some advance time on these wheels and they are indeed a big improvement over the alloy wheels I’ve been on in the recent past, which include the DT Swiss 1700s on my Remedy 29, and Bontrager Line 30s and a Stans Arch/Flow set on my Slash 9.7. Admittedly the ‘30s were rubbish, and the Stans wheels were too narrow for me. A better comparison is to the Crossmax SX wheels, most recently fitted to my Yeti SB66 in 2014. The SX wheels were stiff and light and trouble-free, despite being 230#/6’5”. I hammered on those French wheels as I have with these Crank Bros wheels the last 2 months. So far, so good. 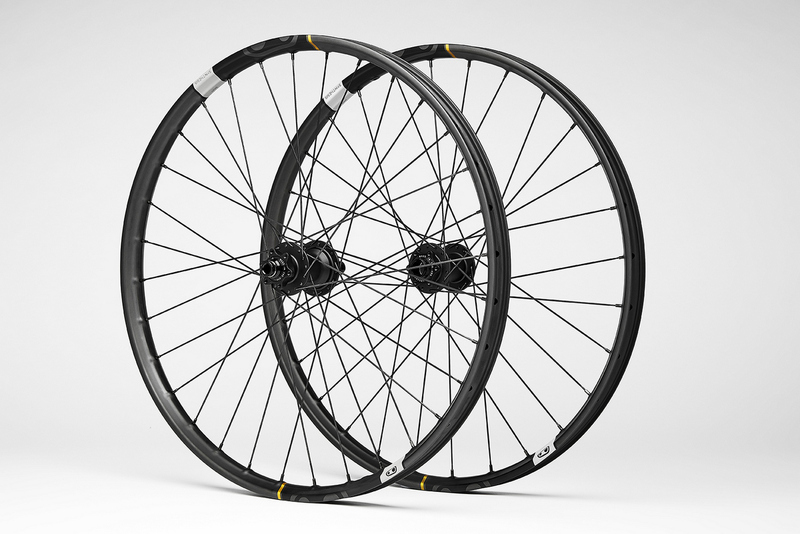 Although $2400 is a mountain of dough, if I was in the market for carbon wheels these would absolutely be on my short list to consider. They perform exactly as promised, and with a lifetime warranty, I could plan to carry these forward onto future frames. (Provided that Super Boost doesn’t take over frame design).